Order in next 13 hours and 42 minutes for despatch today. Gold Effect Snaffle for Bags and Shoes. 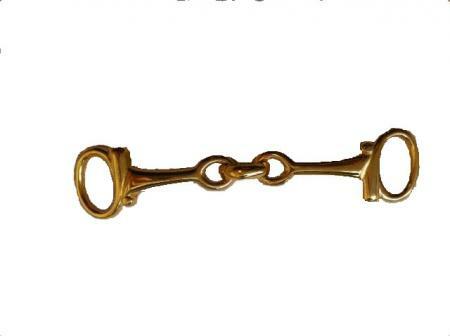 This tiny, gold effect, snaffle bit is the type used on high quality moccasin shoes and handbags. It measures 7.5cm in length.